Your project will change the world in a sustainable way? 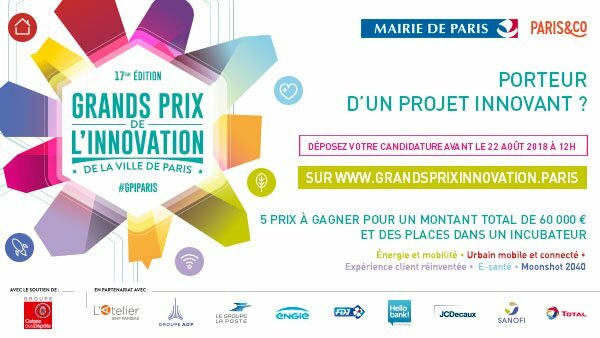 Spread the word by participating in the Moonshot 2040 category of the 2018 Grands Prix de l'Innovation! Paris & Co, Aéroports de Paris and Atelier BNP Paribas reward the most ambitious projects at the origin of the city of tomorrow. Engaged in societal challenges, they rethink the life experience in 2040. They carry forward-looking projects for a decarbonized, sustainable city, where the environment and the human are priorities.The winner will receive an endowment of 12 000 €!